Hope you have had another great week! Christmas is so close I can’t believe that it’s December tomorrow! I am so excited for Christmas. I am a big lover of all things Christmassy. On Sunday I went to London with two friendsnfor a Christmas themed day out, to do some shopping and have a look at the lights. It does not take very long to get to London on the train from where I live so my friends and I caught the nine-twenty train and arrived in London at about ten-fifteen. We then headed to Oxford Street, although we did not stay there for very long because it was half ten and the shops didn’t open until twelve as it was a Sunday. How did none of us check the shop opening times before getting on a train to go shopping? Twelve seems so late to late to me! All the shops nearer to me open earlier and close earlier! Anyway, as the shops were closed on Oxford Street we headed to Covent Garden using the internet this time to check the opening times! 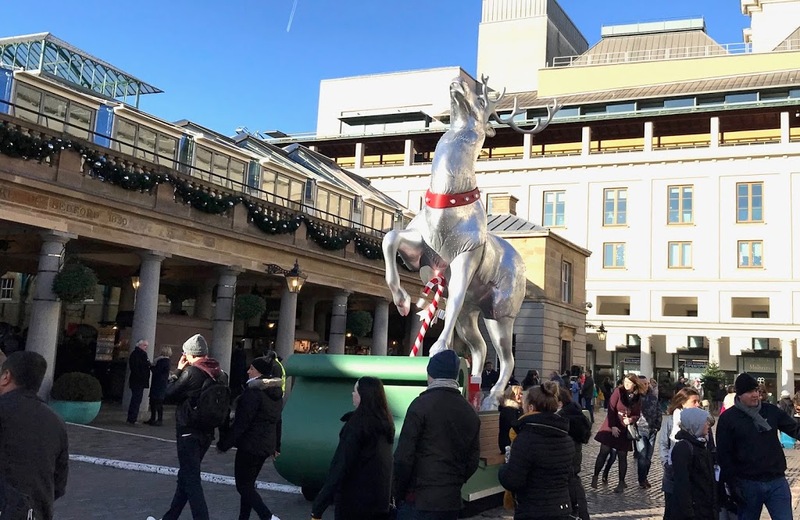 The picture above is of one of the Christmas decorations in Covent Garden – just a silver reindeer on a sleigh. We then had a look around the Apple Market and the surrounding shops! I love the shop Sasse and Belle that is underneath the market, it has some really cute things that would make perfect Christmas gifts! I also saw some really pretty leaf jewellery on the market. Each leaf shape metal pendant was cast from a real leaf and it looked so pretty – it just cost a little more that I was planning to spend on myself just before Christmas. Another picture taken at Covent Garden – outside this time. I love their Christmas decorations. Here is another cute Christmas decoration outside Covent Garden. 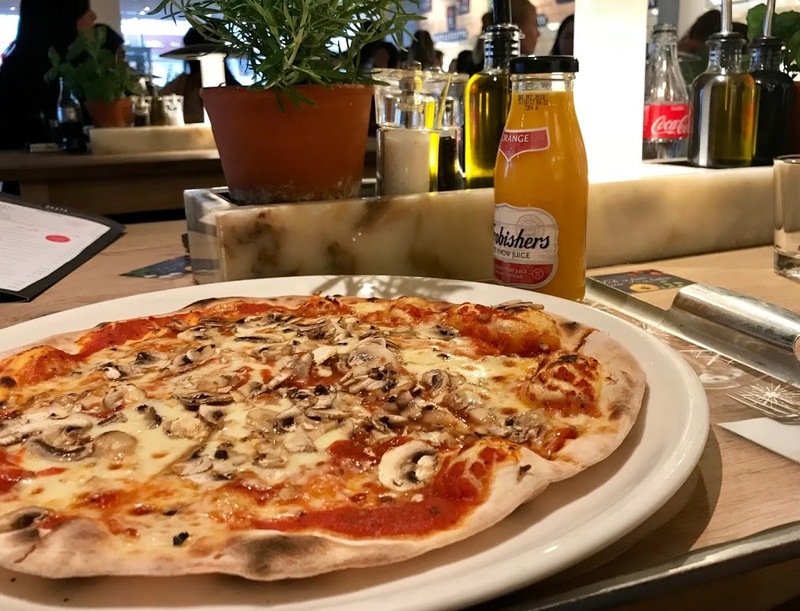 We then finished up at Covent Garden, went back to oxford and got some lunch from an Italian restaurant called Vapiano. It seemed like quite an odd system, but it worked…they gave you a little card and menu on the way in. You then walked around and ordered the food you wanted from the different sections, scanned your card, they then gave you a little buzzy thing that beeps when your food’s ready so you can go back and pick it up. I had the fungi pizza it was very tasty! Once we had eaten we headed back to Oxford street to have a look around more of the shops, they were open this time! One of the shops we went in was Topshop. The Oxford Street Topshop is MASSIVE! I believe it was five floors. They had lots of things you don’t see in normal Topshops such as a cupcake shop, jewellery engraving, a potted plant shop section and personalisation of jackets. I also loved looking at the all the Christmas window displays. Selfridges has a really cool display this year. John Lewis has a lot of very large Mozz the monsters in its windows with a snoring monster and one that wriggles as you stroke its feet through the glass! 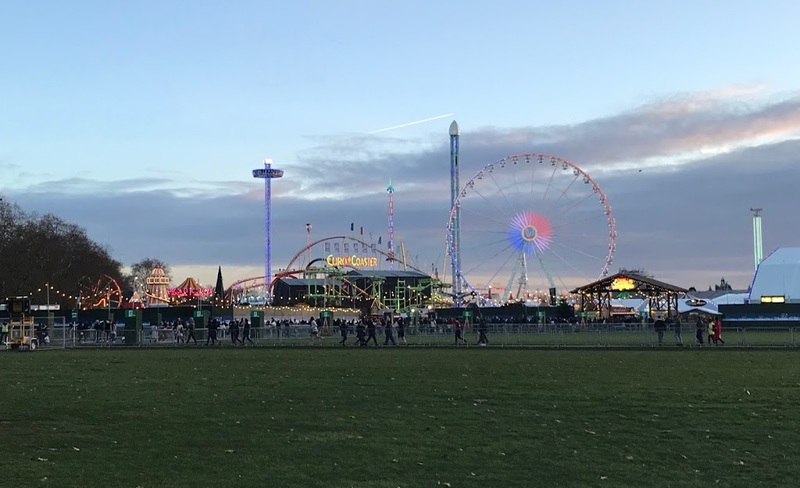 Finally we walked into Hyde park to have a look at the winter wonderland, this was just as the sun was setting through the trees so I took the picture above. At this point it was getting late and we were all tired so we had a look from afar (where I snapped this picture) then headed back to the train station to catch a train home. 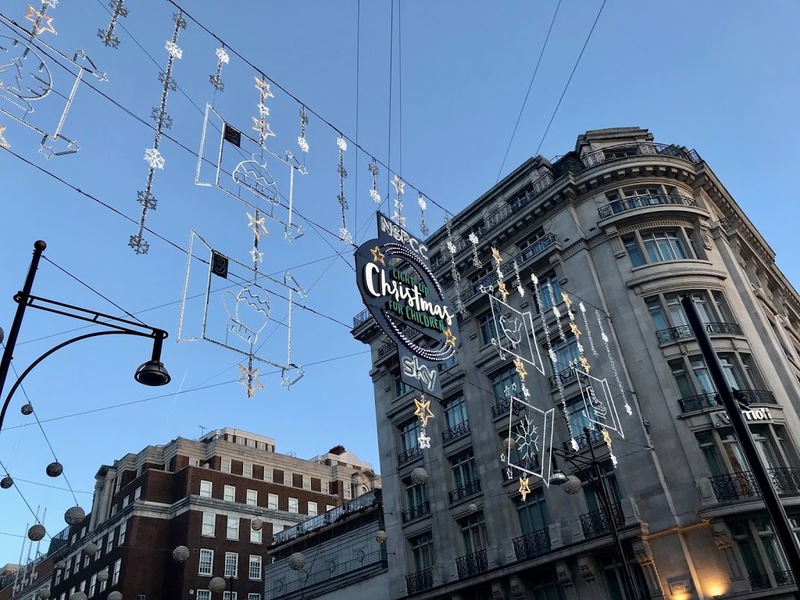 Although there was more I wanted to do such as going to Knightsbridge and looking around Harrods and their Christmas decorations it was a really good day and I’m sure we’ll go back before long! Thank-you for reading, hope you enjoyed. Have you ever been to London? 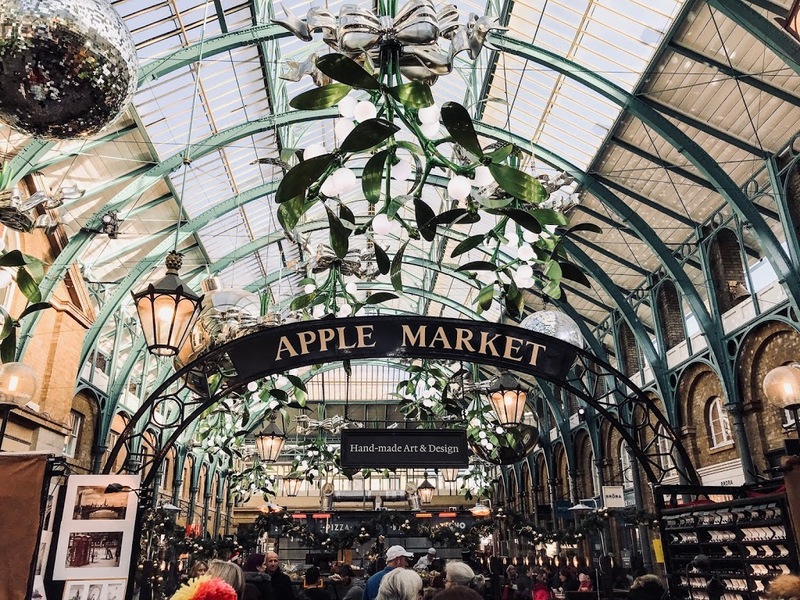 What’s your favourite thing to do in London? – I’d love to know in the comments below! Bye for now, see you next week! Hello there! 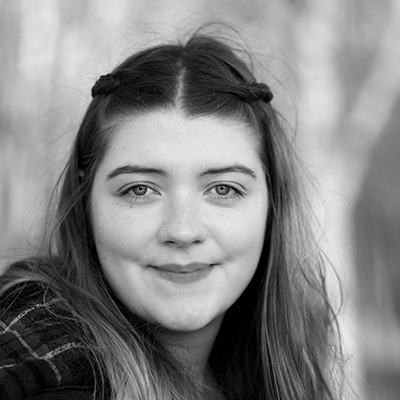 I'm Molly, an 18 year old blogger from the east of England. One Year of Blogging! 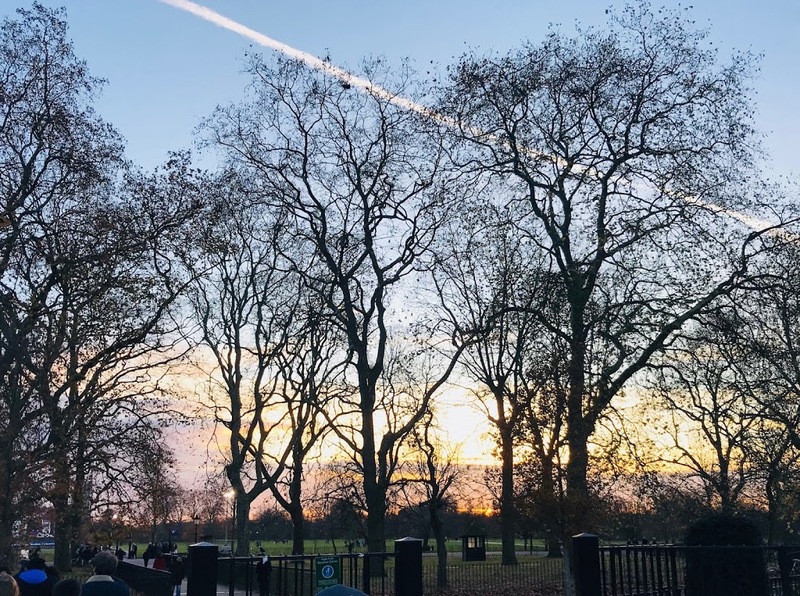 – reflecting on my blog, what I’ve learnt and looking to the future. I'm definitely a sucker for Sass and Belle. We have one in the Brighton lanes and I can't help but go there everytime we visit! I went to London in october and daaamn I'm so jealous! 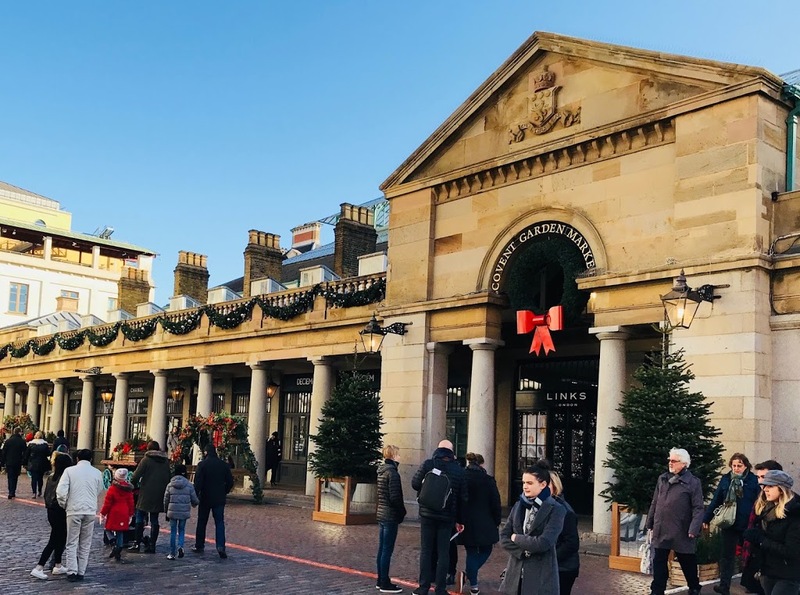 Covent garden looks even better in december!!!! I love Sasse and Belle, they have some really great Christmas stuff in the moment! Thankyou so much!! 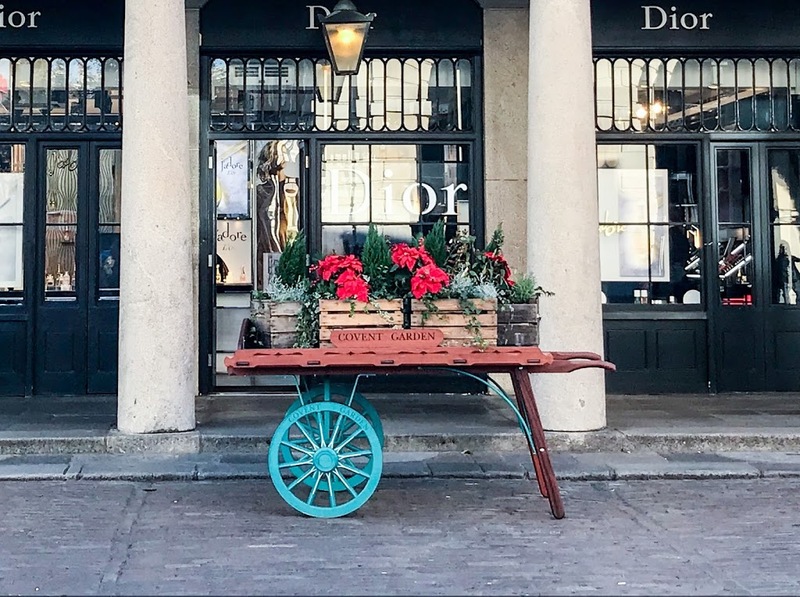 London is so pretty at Christmas time – but really busy! 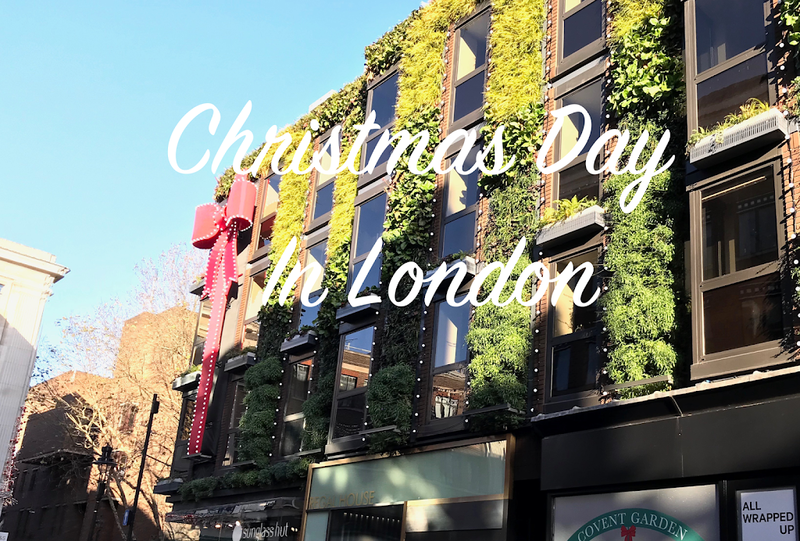 The decorations looked so pretty in covent gardens – so many trees and baubles!